As a film editor I’ve reviewed quite a few things on the blog over the years, most often born out of my own research and requirements. So if you’re looking for suggestions on some great editing books, affordable video editing equipment and ideas for other essential gear for film editing, you’ve come to the right place. Over the years the number of review posts on the blog has grown exponentially and so to make it easier to find the right one, here are some quick links, or scroll further down for some more detailed info. Which Hard Drive should I buy for Video Editing? Over the years I’ve reviewed so many books on film editing and post production that I’ve created a whole other post, which I’m keeping up to date, cataloguing every book review on the blog. Check it out here: Books for Creatives – Every Book Review on the Blog. Otherwise for some instant links, click below. What are the best headphones for film editors? This post details some of the best headphones around for film editors and which pair I eventually went for. It also describes some of the technical details that make for good headphones. If you end up getting a pair of headphones after reading this post I’d love to know what you went for and how you got on! I love reading and I love reading about editing. Its great to find books that either teach you more about your craft and more about the great editors of old. So far I’ve written several posts about all kinds of different books; from Books for Creatives Everyone Should Read to Books on Business for the Digital Age. More specifically there is a 3 part post on Books on Film Editing (Part 1 & Part 2 & Part 3) and a host of other published resources I’ve recommended to learn more about film editing. If you’re after a good read, just check out the ‘books category‘ for the latest posts. For two posts on some more technically focused books for digital video production check out 5 Books on Colour Grading and Colour Science and 5 Books To Help You Learn How To Be A DIT. If you ever need to record some decent sound voice over on a reasonable budget then this post should help you find what you need. Whether its a simple plug-n-play USB microphone or a more professional (and expensive) XLR condenser mic with USB powered pre-amp, check out your options, and hear about the gear I went for. If you’re looking for a mouse that not only adds to your speed and efficiency as an editor, but also looks and feels great then this shortlist of mice will give you plenty to choose from. But if you want my advice then you’re much better off springing for a Wacom tablet over a mouse any day. Everyone needs a little inspiration from time to time and personally I love geeking out to the behind the scenes extras (when they have real substance and not just a dpk fluff) of some of my favourite films. To that end I’ve put together a shortlist of some of my favourite DVD extras that a film editor might enjoy…. Film editors need to be fast and efficient. That comes from time and experience but also from having the right tool for the job. 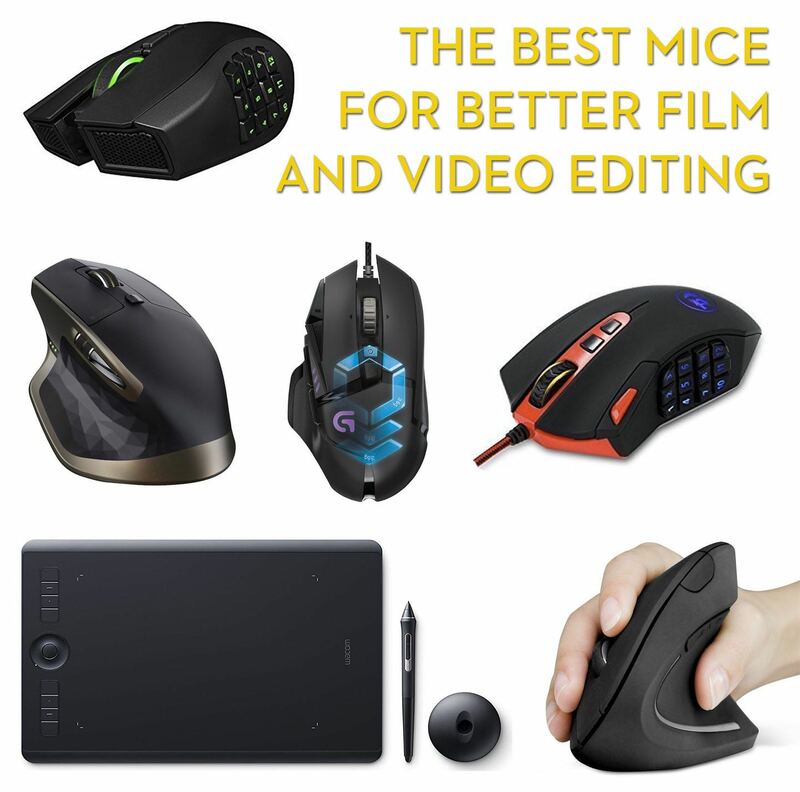 In this detailed post you can find the best keyboards, programmable controllers, interfaces, and gaming mice to improve your day to day life as a film editor. You can also learn some great tips on how to get much more from your Wacom tablet and make sure your suite is set up for an ergonomically sustainable career. For more details on editing with a Logitech G13 programmable keyboard (pictured), jump to this post for a host of practical tips. Palette Gear is a powerful way to customise your own interactions with your favourite creative software through magnetic building blocks of sliders, buttons and dials. In my review you can see what it’s like to use the Palette Gear for editing and colour grading in Premiere Pro, including links to download my own custom set ups. There are also a great range of supporting tips and tutorials to help you get started. 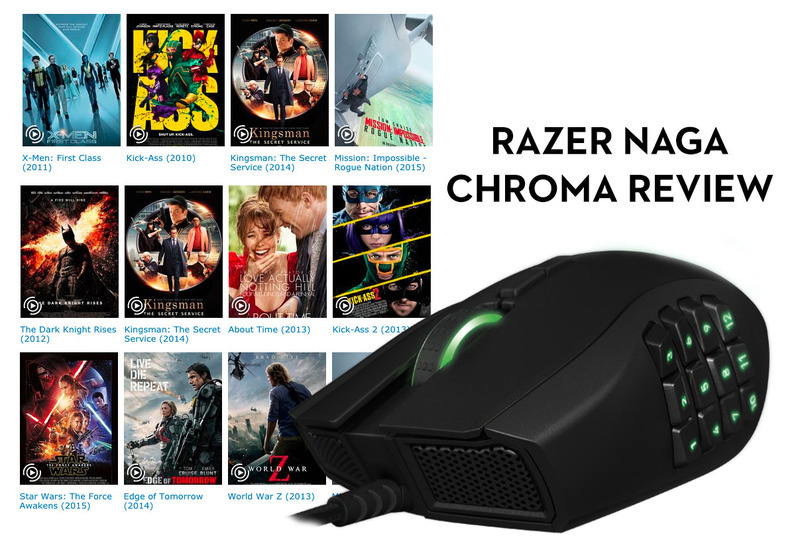 Learn how to use a Razer Naga Chroma programmable gaming mouse to speed up your editing workflow in this detailed review. Plus you can also download the shortcut keymaps used by Mission:Impossible – Rogue Nation editor Eddie Hamilton, First Assistant Editor Ben Mills and Second Assistant Editor Rob Sealey. One of the best ways to speed up your Macbook Pro laptop is to install a high speed Solid State Drive (SSD) and max out your RAM. Check out this step by step guide on how to do just that, as well as performing a clean installation of Mac OS X Mountain Lion. If you’re looking to get highly colour accurate video monitoring for not a lot of money, then this round up of affordable colour grading monitors will help you find what you’re looking for. As well as a ton of professional advice on what to look for there are a few important caveats that you definitely need to be aware of before making the plunge. Check out this post for a shortlist of some of the best in-ear headphones for film editors. These affordable, reliable and comfortable headphones are sourced from the personal recommendations of trusted editors, composers and tech savvy friends. You can also learn what to look for when it comes to choosing a set of headphones like these, and understand all those complicated technical specifications. When it comes to editing at high resolution, for today’s editors that means at least working in UHD (3840 x 2160) if not true 4K (4096 x 2160). 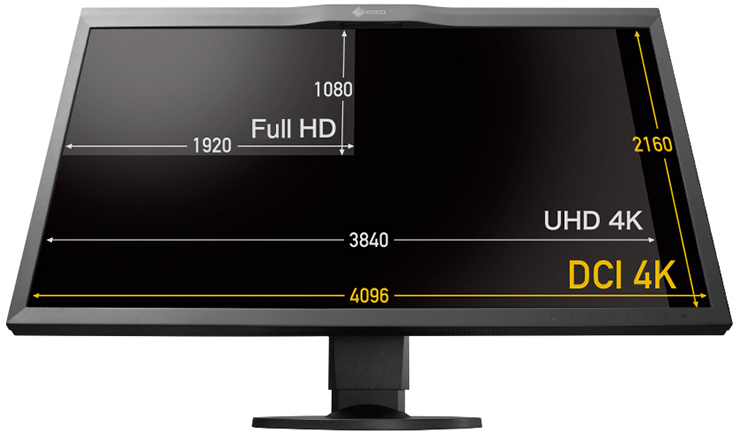 In this post I round up your current options when it comes to finding an affordable 4K video editing monitor and a few things to look for when doing so. Plus the monitor I eventually chose for my own edit suite! The new Tangent Wave2 colour grading panel is a great option for anyone looking to have a large range of customisable and professional controls in a compact and lightweight form factor. If you can’t afford a whole colour grading control panel, how much can you do with just one part? That’s what I set out to discover with the Tangent Element Kb, a set of 12 dial and 2 buttons which make up part of the fuller Tangent Element suite of controllers. In my post you can learn how to set up the Element Kb, customise the controls for editing and colour grading and download my own preset mappings for Premiere Pro. If you’re a dedicated DaVinci Resolve colorist who intends to do professional work, then you’ll need to learn to use a colour grading panel to deliver efficient and creative work for your clients. Fortunately if you can’t afford the full $30,000 Advanced panel, you can use one of the exceptionally well-built Micro or Mini panels from Blackmagic Design, the makers of DaVinci Resolve. In this post you can read about my own experiences with the compact Micro panel and check out a whole host of further reviews on the larger Mini panel, pictured above. In this rather epic round up I’ve tried to bring together a selection of the best Thunderbolt (1&2) devices for film editors looking to expand their edit suites. Check out which Thunderbolt RAID, PCIe expansion chassis, video I/O, hard drive, docking station, hub or adaptor could help you make the most of the speed and power of Thunderbolt. If you’re after some thoughts on the best Thunderbolt 2 RAID’s around check out this extensive round up. Which harddrive should I buy for video editing? If you’re trying to decide which harddrive you need to buy for your HD video editing project then these recommendations should have you covered, whatever your projects scale, scope and budget. There’s also a few pointers in hopefully non-technical language, that explain why you need to get the right kind of drive. There’s also some handy free apps to help you calculate your storage capacity needs. I’m a huge advocate of editing with a Wacom Tablet. Personally I have the Intuos 4 Medium and its a life saver. Having edited for years with a mouse I started getting tingles in my hand, shoulder pain and clicking elbows and joints. Since I’ve purchased a Wacom Tablet everything but the clicking has disappeared, and I probably just need to get more fish oil for those joints! Its the best money I’ve ever spent on editing gear. Period.